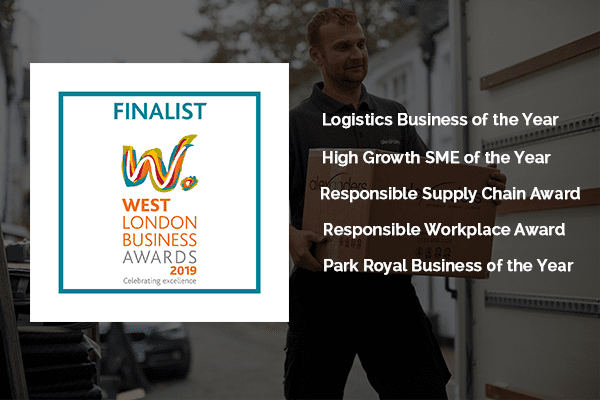 Alexanders Group is delighted to announce that we have been shortlisted in five categories of the West London Business Awards 2019. The awards, purely for businesses in the West London sub-region, recognise the outstanding achievements of organisations and individuals across five themes: sector leadership, sustainable & responsible business, economic growth, corporate leadership, and individual leadership. Two years ago Alexanders was named ‘Business Services Company Of The Year’ and ‘Logistics Business Of The Year’ the WLBA 2017 and we are thrilled to be nominated once more in multiple categories. This year we have been nominated in the following categories. We have again received a fantastic number of high quality entries this year, despite tough entry criteria. Our shortlist, which this year includes Corporate categories for the first time, provides a window on the excellence that continues to drive West London’s economy forward, as well as the exciting innovations coming through. The winners will be announced on Friday 8 February at the awards ceremony at Twickenham Stadium. Next PostRemovals North London - Looking for a removal company in North London?